When you need a custom garden flag to represent you or your organization, how it looks is everything. At A Stars & Stripes Flag Corporation we can help you with the design. Our expert team will work with you on the perfect custom yard flag for your needs. With our state-of-the-art manufacturing process, superior color matching quality and top-notch customer service, we’ll make sure your custom and personalized garden flag is done right and is the perfect touch for your outdoor space. 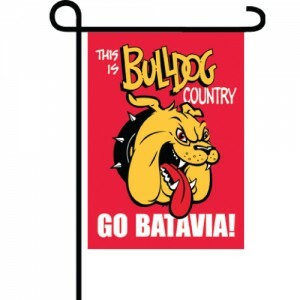 Our custom garden flags are 12×18″ with a sleeve across the 12″ top of the flag. We have over 3 decades experience making custom garden flags and going above and beyond our customers’ expectations. We can’t wait to work with you on your custom garden flag order.